No reassurance shield after SR 38, and a few miles later we’ll approach US-36. 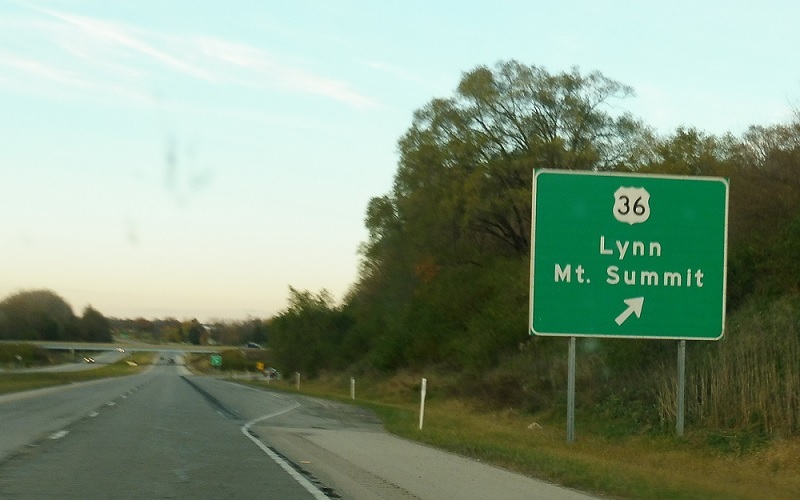 Exit for US-36, which heads west to Mt. 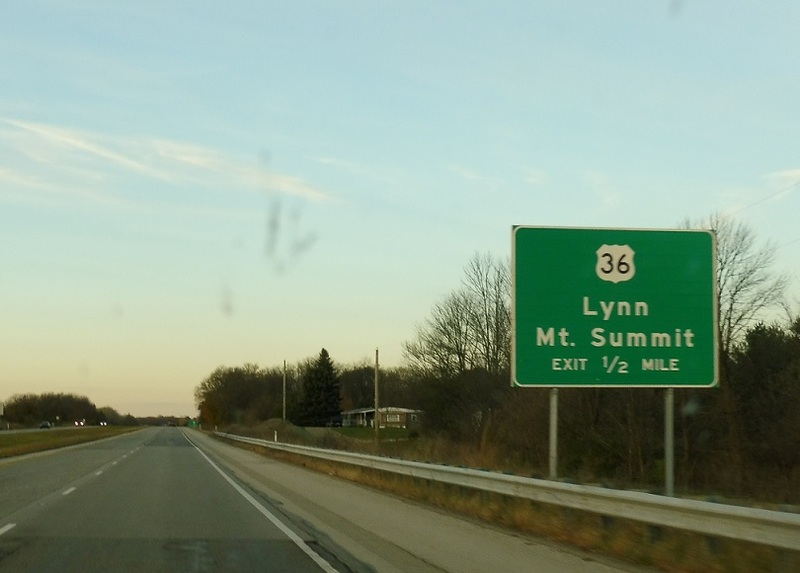 Summit (which is a hilarious city name for something in east-central Indiana) and east to Lynn.